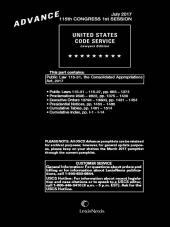 The United States Code Service Advance, published monthly, contains the latest Public Laws enacted by the United States Congress, as well as federal court rules amendments and presidential documents. 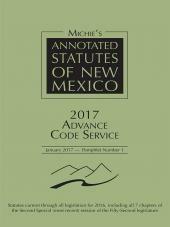 The United States Code Service Advance, published monthly, contains the latest Public Laws enacted by the United States Congress, as well as federal court rules amendments and presidential documents. 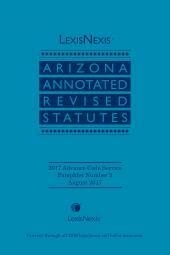 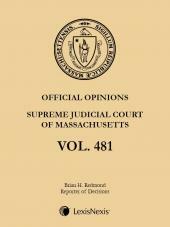 The pamphlets contain the primary source documents, classification tables and other finding aids, summaries of the more notable primary source documents, and a Supreme Court update from the editors of the Supreme Court Reports, Lawyers' Edition. 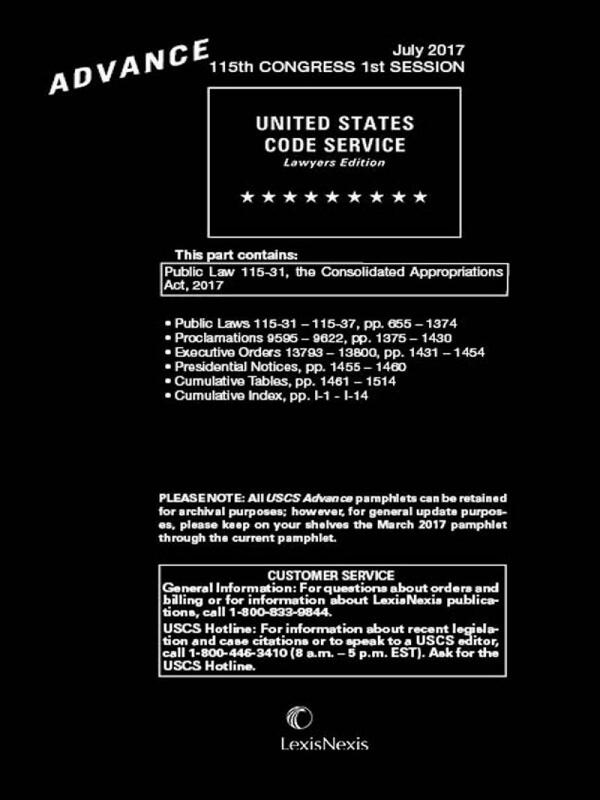 Along with the Cumulative Later Case and Statutory Service, and the annual cumulative supplement to the United States Code Service (USCS), this is the best way to keep yourself informed of the changes to federal primary law.